Joanne Fairey and her Dad Michael enjoy spending long hours walking with their dogs around the beautiful countryside of Hampshire and Wiltshire, near their Southampton home. 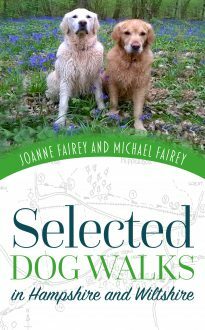 In this book they have put together a wealth of information about 20 of their favourite walks, aimed at fellow countryside lovers and dog walkers, including detailed routes, places of interest, local vets and even dog-friendly pubs. The walks cover Wiltshire and Hampshire.